Elegant in appearance and perfectly matching details! 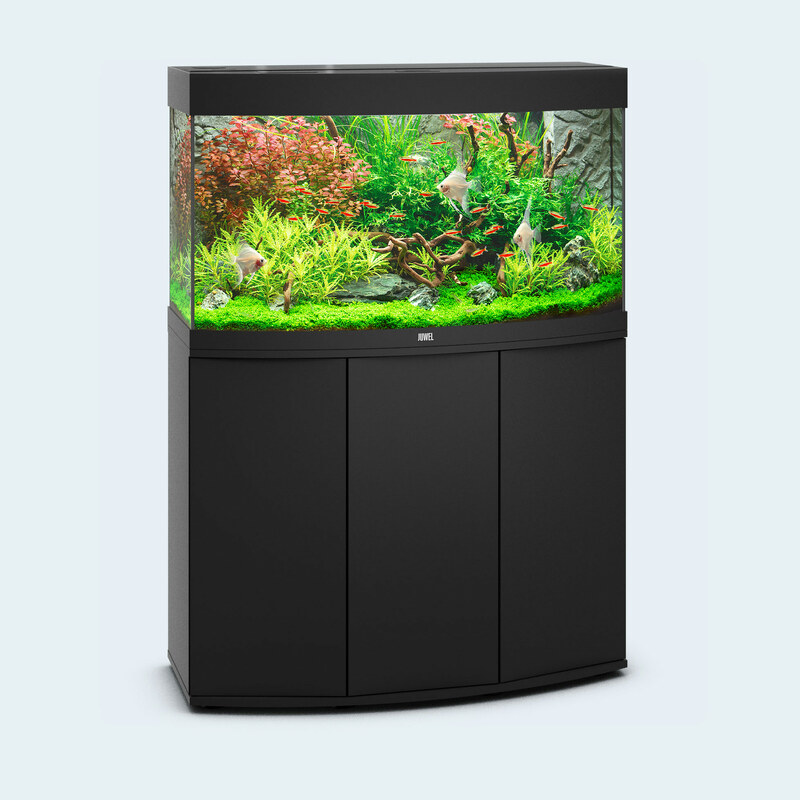 At 92 cm wide, the VISION 180 LED is the smallest aquarium in the VISION range. 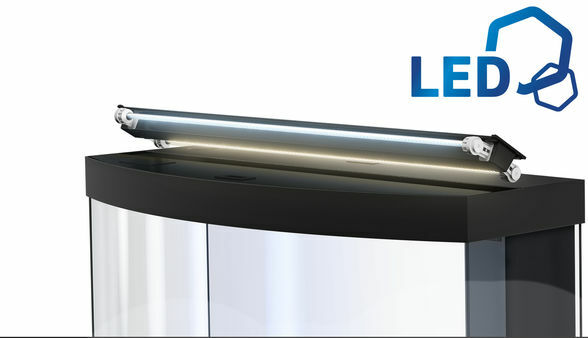 Thanks to its curved front panel, the VISION 180 LED has great presence – and not only in small rooms. Painstaking workmanship from Germany, top-quality materials and perfectly tuned technology guarantee the very best of quality and safety, meaning a long service life for your VISION 180 LED. Choose between black, dark wood, beech and white. Brilliant luminosity and excellent plant growth are what you get with the state-of-the-art Multilux LED lighting technology from JUWEL. 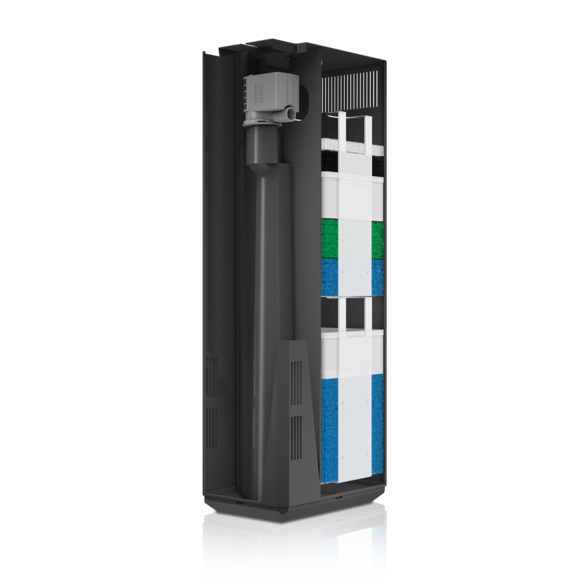 The replaceable 19-watt DAY and NATURE LED tubes create an optimum light spectrum, while saving up to 50% of energy in comparison to T5 at the same time. The MultiLux LED lighting system for the VISION 180 LED means that you can work on your aquarium in comfort, even when the lighting is switched on. 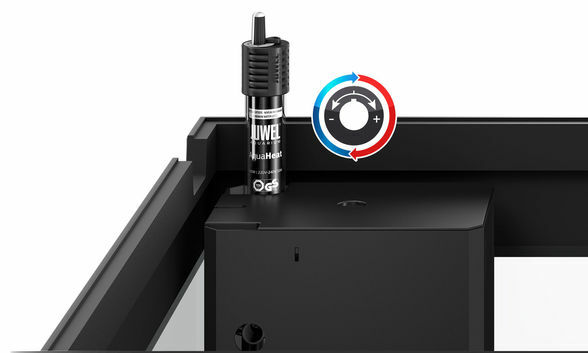 For optimum filtering, the VISION 180 LED is fitted with a high-performance Bioflow M. This internal filter combines efficiency with safety and forms the centrepiece of any JUWEL aquarium. It works on the principle that "The water should stay in the aquarium!" and is the safest way of filtering an aquarium. 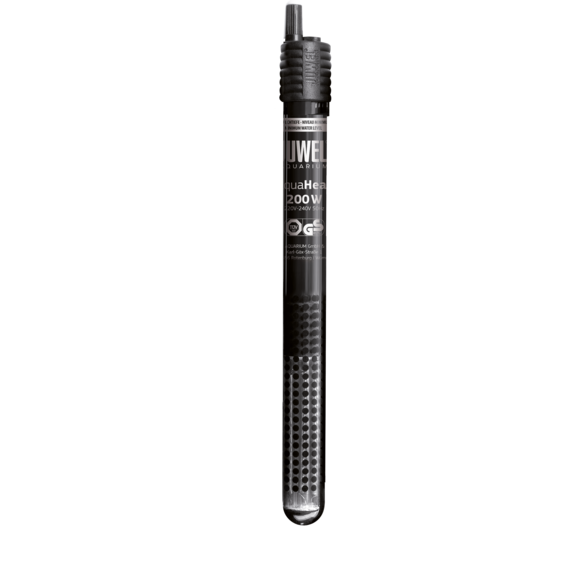 The Bioflow M comes fitted with five high-performance filter media and a quiet yet powerful Eccoflow 600 circulation pump. 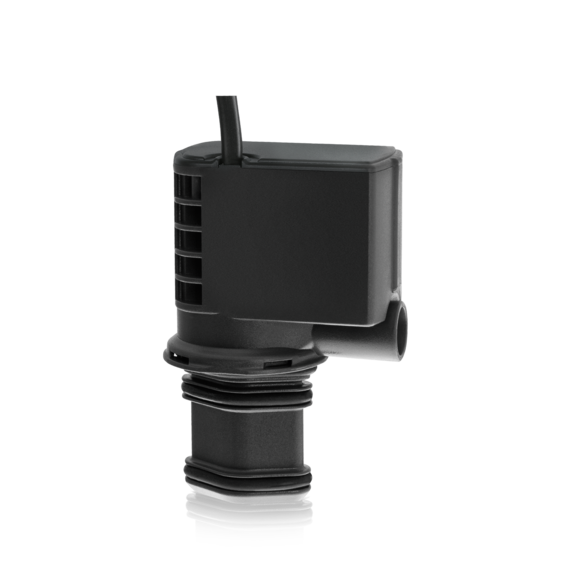 The 200 Watt JUWEL adjustable heater, which is perfectly embedded in the water circulation in the Bioflow M filter system, ensures the right temperature in the VISION 180 LED. What is the maximum weight I can fill into my JUWEL aquarium? 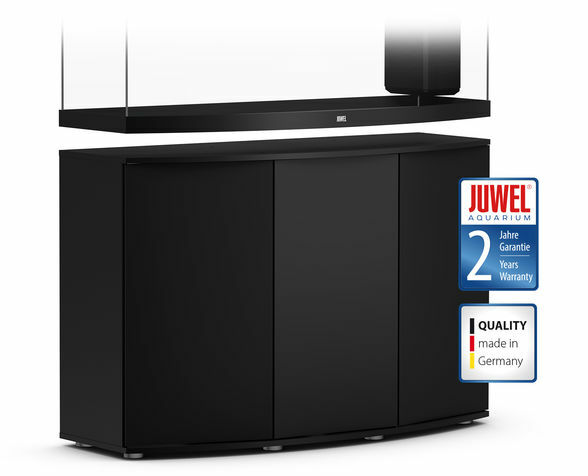 Thanks to specially developed float glass, JUWEL aquariums can bear a multiple of their filled weight. Please make sure, however, to observe your base cabinet’s load capacity. For details about the maximum load capacity, please see the technical data provided on our website. How long is the service life of my aquarium? 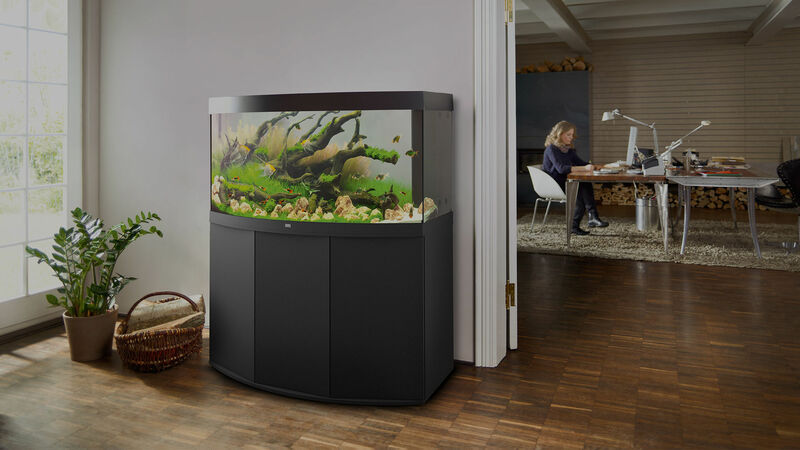 Unfortunately we are not able to make any general statements about an aquarium’s service life, as this depends on a wide range of different factors. 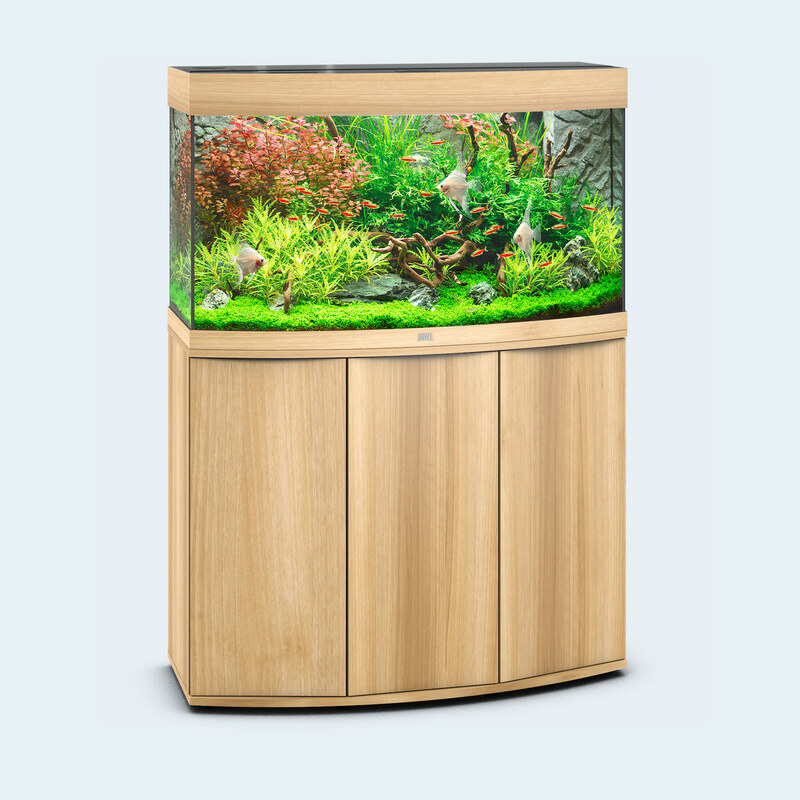 However, we do have customers who have been using their aquariums for more than 20 years without any problems. 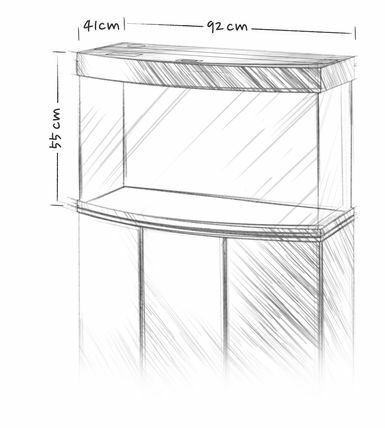 Can my aquarium be produced in customised dimensions? 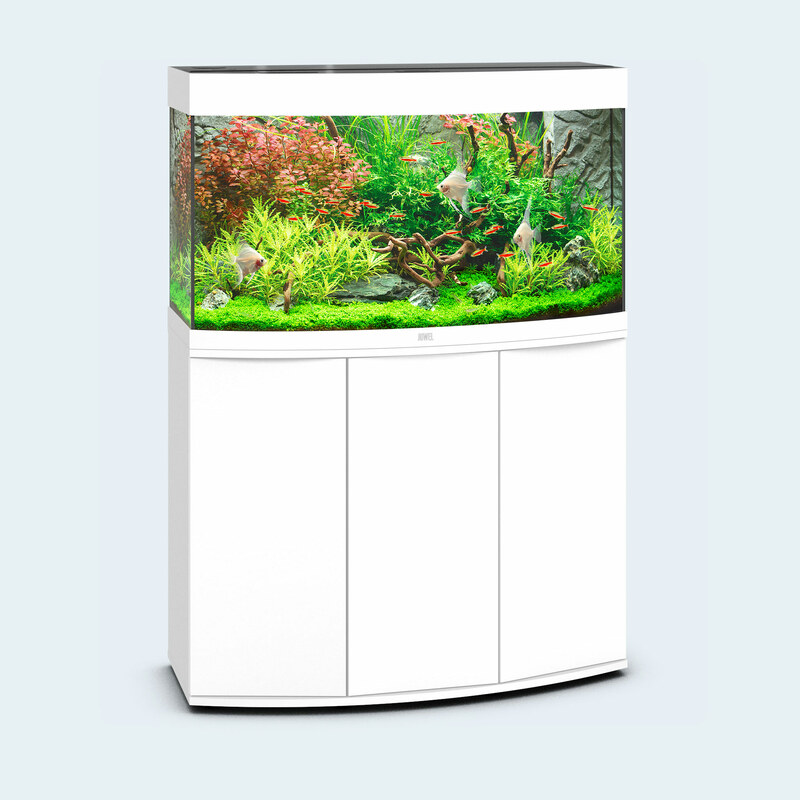 Our production is geared towards producing complete aquariums. Unfortunately we are not able to consider any special requests with regard to our equipment. 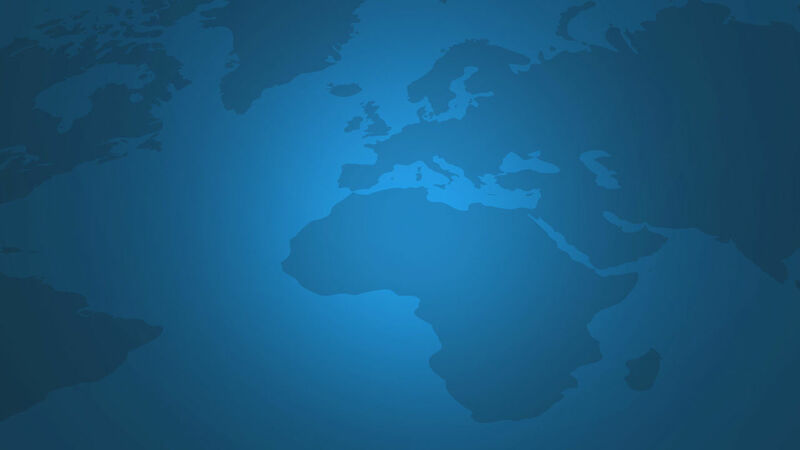 This is not possible, due to the fact that our manufacturing process is only suitable for serial production. Which aquarium do I have? On current models, you will find your aquarium’s model name on the support beam. 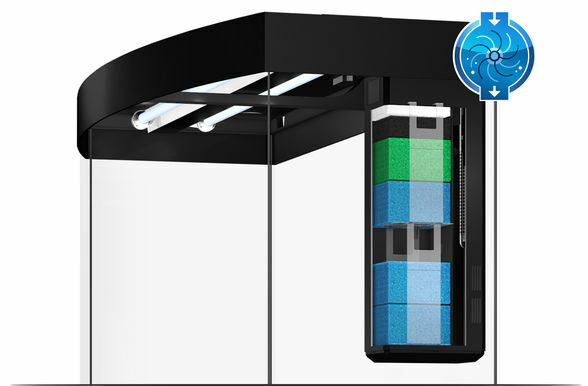 The model can also be specified based on the aquarium’s shape and width. Our service team will be happy to help you with this. How do I start up my aquarium correctly? 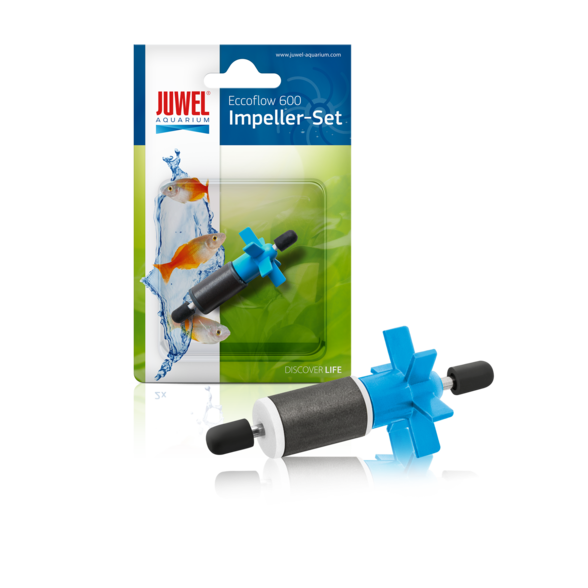 Arrange the aquarium in accordance with the instructions for use and assemble the filter. In this context, please make sure that the filter media are positioned correctly, e.g. as this is also shown on the packaging of the filter display box. Remove all plastic bags that might protect the filter media (carbon sponge, filter floss, Nitrax sponge and optional Cirax/Phorax basket). 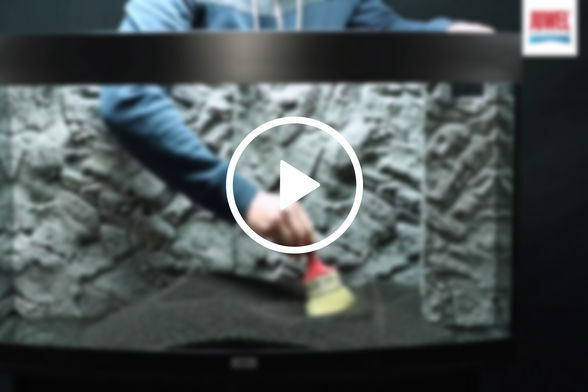 If you wish to glue a background or a filter cover into your aquarium, this is the best time. 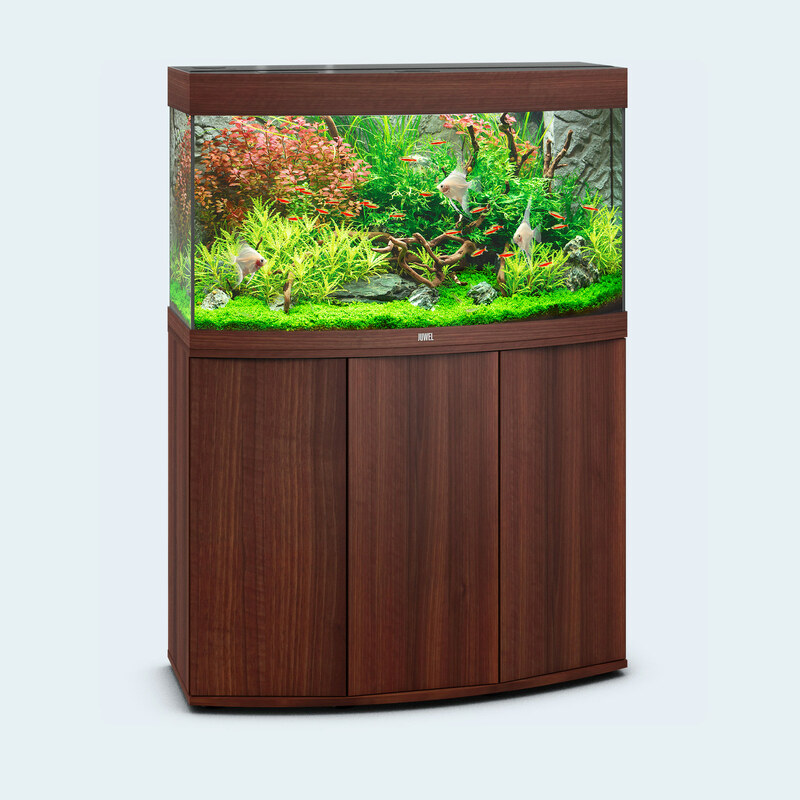 Then load the aquarium with the ground material and the plants as well as other decorative elements, e.g. stones and roots. After that, fill the aquarium with water. Tip: It is best to carefully pour the water through the filter in order to protect the existing set-up. Run the aquarium without fish for approx. 10 days in order to let the important bacteria form in the filter sponges and clear the water of pollutants. 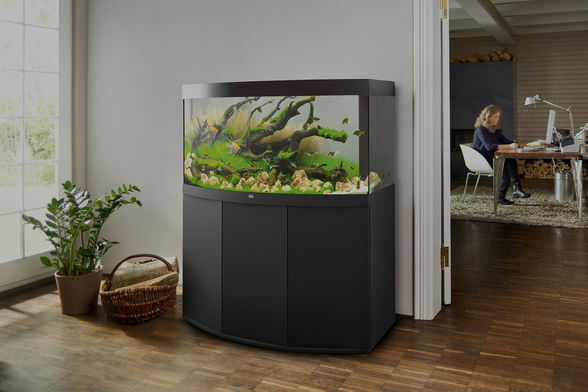 Use bioBoost to activate new filter media faster, and thus shorten the run-in period of your aquarium. Use the advice of your specialist retailer. 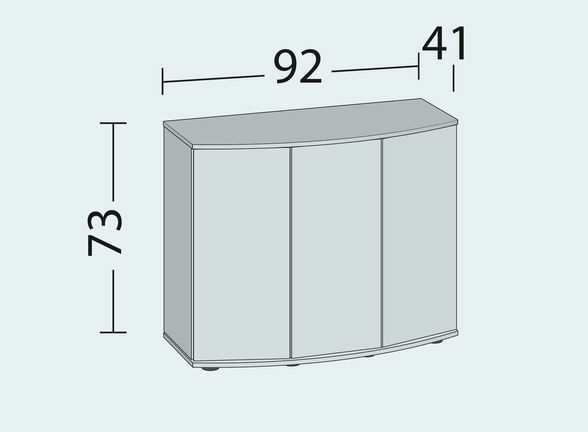 Should I use a mat between the cabinet and the aquarium? 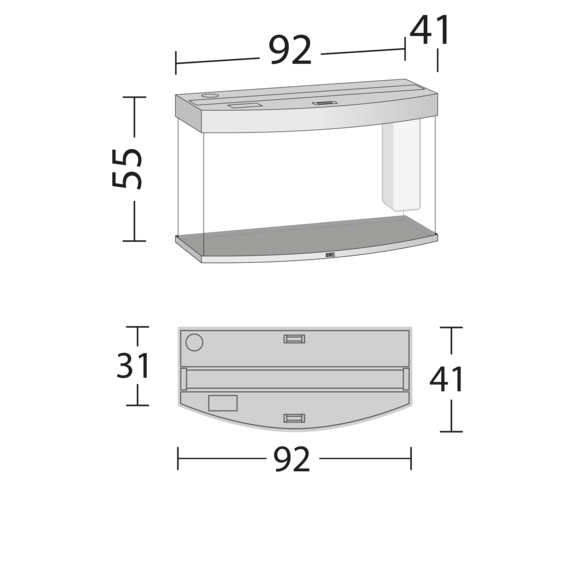 The JUWEL aquarium features a safety base frame which ensures an even distribution of the weight. Please do not use a mat under any circumstances!